Create reviews! 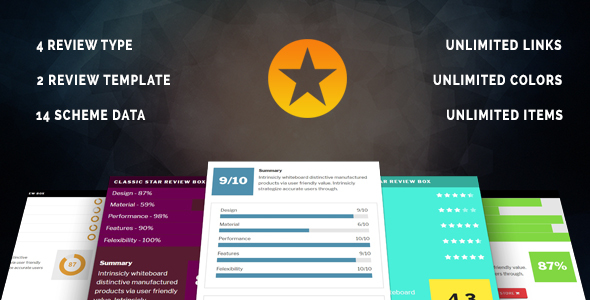 Choose from Stars, Percentages, Circles or Points for review scores. Supports Retina Display Unlimited Color Schemes.